If you’d like to listen to this article, rather than read it, I discussed it in a live chat on my YouTube channel and also answered some questions in this video. Otherwise, read on below. I remember reading the book “I Know Why The Caged Bird Sings” by Maya Angelou in school when I was younger. Around the same time in my life I was learning how to lucid dream. For those not familiar with lucid dreams, they are dreams in which you realize you are dreaming and once you realize this, then you can take control of the dream to do whatever you like. I often chose to fly. I don’t even know why I thought this back then but I realized that if I was ever in prison, I would still be able to lucid dream. I would still have control during the night to change my surroundings and do whatever I wanted to do. And right then, at that young age, I realized no matter where you are, you still have some control over your life. I realized I would never feel “locked up” in jail since I had the ability to use my mind to escape at night. And if you can always escape, then you are not being forced to be somewhere. You may be letting people think they have control over you, to keep you locked up, but they really don’t. In the movie Hancock, Will Smith plays a man with supernatural powers who goes to jail, willingly. He can escape easily, as you can see in the clip below, but he continues to stay there of his own free will. When we realize we’re truly free, the world may still see us as slaves, but we know differently. And as I’ve spoken of before, unforgiveness makes you a slave to whoever or whatever you have not forgiven yet. You are ultimately your own slave master because you can always choose to forgive the people, break the ties that bind, and get free. After that forgiveness, no one will ever trigger you or push your buttons again. See the article “Forgiving Others and Ourselves – What Does it Mean to Forgive?” for more information on that. Jesus (Yehoshua) said that he came to free us from being slaves to sin and he said that everyone who sins is a slave to sin. In order to not be a slave to sin, according to him, we need to not sin. 1 John 3 says those who sin are “of the devil” and God’s children doth not commit sin. I know this isn’t what mainstream Christians today teach, but the early followers were members of “The Way” (to the Father) and they believed we could be holy, righteous, and blameless, even in the midst of a wicked and perverse nation (Philippians 2:15). The commandments were given to bless us, and they’re not burdensome. YHWH’s Holy Spirit, the same spirit that raised Jesus (Yehoshua) from the dead, is inside of us and can keep us from going back to sin, and, thus, can get us free so that we will no longer be slaves to sin. If there is never a temptation to sin that is too much for us to bear, it means we never have to sin. It’s a choice we make. Which means we can choose to be free from sin. Appreciating everything positive in our life helps to free us from negative thoughts because we attract what things of the same frequency as our “vibe” is. Your vibe attracts your tribe, and if you’re vibing with complainers, you’re going to attract more complainers and things to complain about. But if you’re focused on appreciating positive things and being grateful for all you have, you’ll attract positive things into your life. And we all know the saying, “resist the devil and he will flee.” As I discussed in the article about how to no longer be a slave, when we raise our vibration to become one with the Father, we are, at the same time, making sure that our vibe repels all who are not our tribe. The more you become one with the Father, harmonizing with His frequency, the less evil can stand to be near you. You will repel evil out of your life and become free from it. Some try to say that “Satan is the god of this world” as if we are stuck in a prison as “slaves to sin” in these “meat suits” until we die or until Jesus (Yehoshua) comes back to free us. I discussed that concept further in the article “What Does It Mean to be The Only-Begotten Son of God?” because what they’re really saying when they say we cannot stop sinning is that “the devil” or “Satan” is really their spiritual biological father instead of YHWH. Others believe that, even though we, personally, can stop sinning, “the world” (people who are currently sinners) are not stopping their sin, and so they say we still have to deal with their sin. This implies we can’t change the world and we will still be running into “evil” until Jesus (Yehoshua) comes back. This is incorrect according to the Law of Attraction and Essene Mirrors, as I mentioned earlier. Our vibe repels those not of our tribe. We can rid our environment of all evil if we work on ourselves. When we focus on becoming one with God, the evil will be repelled from us just as they hide themselves from God everyday. Other people suggest that since there is sin, an evil or incompetent “god” created this “evil” world and we’re stuck in it until we die. That is the demiurge belief. As you can see the demiurge belief and the belief that Satan is our lord until we die are basically the same thought process just different titles, and they both claim to be “Christian”. The early followers rejected the idea of the demiurge and rejected the belief that there was “evil” in the world. We might look at a bird, stuck in a cage, and wonder how it can be happy. I remember a few parakeets that our family had when I was growing up, and they loved to play with the toys and sing along to music on the radio. There was one who loved the sound from A Current Affair. We would let them fly around the house, but put them back in the cage to sleep at night. Sometimes animals are safer in a kennel or cage of some sort, that’s even why babies are kept in cribs, to keep them safe. And, yes, to some animals, even the house might be just another, albeit larger, cage. But they were happy. 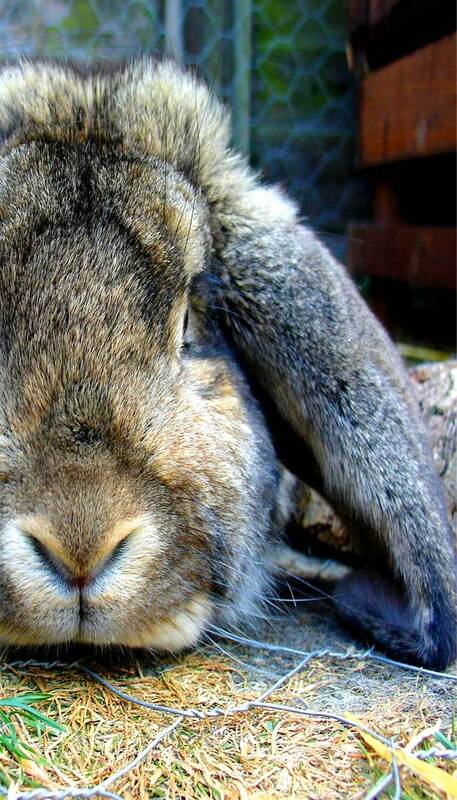 I even had a lopped-eared rabbit once who got away. We moved away from that city, but my grandmother (who lived across the street from our old house) told me that she saw some lopped-eared rabbits at the park a block away. She suggested to me that perhaps my rabbit had had children, seeing as how the regular rabbits at the park didn’t originally have lopped ears and it was a hereditary trait. She may have been just telling me a story, but I really wasn’t upset, seeing as how it was long past that event (in the eyes of a child anyway) by the time she mentioned it. She also wasn’t one to lie. She was very good at telling it like it is to people. I do believe that animals attract their circumstances and may choose to come into this world in particular situations to help be mirrors for us at times, and maybe we’re mirrors for them. And, perhaps, some people who harm animals in one life actually choose (after they die) to be reborn into animals that get mistreated in their next life in order to see what it’s like and learn from those experiences. Perhaps my rabbit, or I, or my parents, or all of us had something to learn and once it was learned, the rabbit got to go away free, and entered into another stage of it’s life. Are We Like Animals Trapped In a Cage? As I stated above, some people think of us like these animals; they believe we are also trapped in a cage, like the movie “The Matrix”. In 1999 at least three movies came out that dealt with this concept of us being stuck in a virtual world. Most people know about “The Matrix” but I enjoyed the movie “The Thirteenth Floor” a lot more. In that movie some people plugged into a game and used avatars that looked just as real. The other movie was called “eXistenZ,” once again with avatars that looked just as real. I found it very interesting that 2 of the 3 have a demiurge-type feel to it. “The Matrix” is a full-blown Gnostic telling of the Demiurge concept. In it the creator of the world, known as the Architect, is using the people plugged in as energy and he’s very incompetent at creating the perfect world (which is why he says they’re on the sixth creation). “Don’t you think you should have to suffer for all the harm you’ve done and intend to do to the human race? Yes. Don’t you think the world’s greatest game artist ought to be punished for the most effective, deforming of reality? 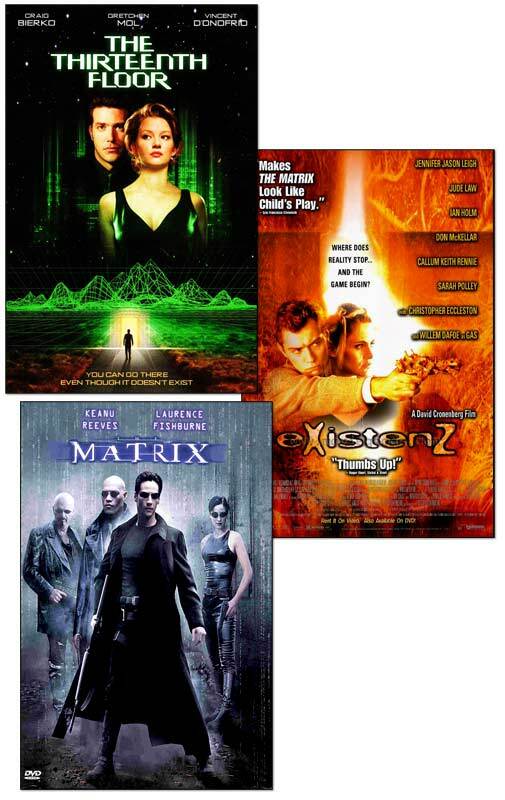 Two of the three movies in 1999 dealing with different realities, whether a matrix simulation or game, were based on an evil (“eXistenZ”) or incompetent (“The Matrix”) creator. The third (“Thirteenth Floor”) was just a game for fun. But this is the point. It’s supposed to feel real. If we truly knew in this life the point, we wouldn’t be upset at what we consider “bad” because we would know it’s not “bad.” The whole point of this is to find things we consider “bad” and choose “good” instead. If we realized the “rules of the game of life” in general, we wouldn’t have made the “mistakes” we made and if we didn’t make the “mistakes” we made, we wouldn’t receive the rewards that we get. You can’t have heavenly treasures if you had to do “good” and wouldn’t choose to do “bad”. According to the Clementine works there are some things that God requires they be and there is no free-will concerning those specific things. So when someone does something that is required to be done, that person can not be rewarded for doing so (because they could not choose to do otherwise). We are only rewarded for doing thing we have chosen of our own free-will to do. “…some things, as we have said, He has so willed to be, that they cannot be otherwise than as they are ordained by Him; and to these He has assigned neither rewards nor punishments; but those that He has willed to be so that they have it in their power to do what they will, He has assigned to them according to their actions and their wills, to earn either rewards or punishments…” Recognitions of Clement Chapter XXV: Who Has Resisted His Will? I gravitated towards the “The Thirteenth Floor” as I’ve stated earlier. This game is plugged into for enjoyment. Although, one person in the highest level plugged into the game and started to use the avatar to have some fun in the killing of others, to “butcher people,” he did face the consequences and ended up dead. At another level in the game one man used it to cheat on his wife, and he ended up dead also. Although in that instance you could say he was working on the AI system which I’ve likened to the anti-christ spirit in my video on us being like Sims. If we consider ourselves all seated in heavenly places currently jacked into the “game of life” here, the man who chose to have fun killing people in the game could represent a fallen angel. But this world that we live in works on the Golden Rule, Essene Mirrors, Law of Attraction, etc. where what you do comes back around to you, and it seems to require people to pass through the lake of fire (for purification) to get back up to heaven. In other words it requires the second death, the spiritual death. In “The Thirteenth Floor” the killer “jacked into” an avatar and when he’s killed, that avatar personality goes up to the highest level instead of the killer’s personality. This can be seen as symbolic for a “fallen angel” jacking into this “game of life” that we call reality, and dying to their self spiritually, being born again, and the born again spirit is what goes back up to God. In this movie, the world was created as a game, and though they didn’t imagine the characters would become self-aware (that their reality was in fact a created reality), there wasn’t really too much of a theme of incompetence (unlike “The Matrix”) and the original creation of the simulation was definitely not an evil intent. Of course in the movie “eXistenZ” the game creator didn’t have an evil intent either, it was just that the players believed it was evil. Let’s assume we are plugged into this world. I’m telling you that we can be free. We, like the caged bird, can sing. And not just because of lucid dreaming; it’s soooo much more than that. According to the Essene Mirrors and Law of Attraction (LOA) how we feel inside is what manifests in our reality. This means that if you feel like you’re trapped such as in a dead-end job or, literally, prison, etc., it’s because you’re feeling trapped in our own self. But, according to the LOA, when you feel like you’re free, your reality will show you that freedom. In the movie “What About Bob?” Bill Murray plays a character who has a lot of psychological problems, and bugs his therapist (Richard Dryfus) so much that he wants to kill him. The doctor jokingly calls it “death therapy” but Bob takes it seriously and starts to “un-tie” the “emotional knots” he has inside in order to free himself physically. I write about this because I have seen these things work in my life, and I know personally the transformative power of our-selves. When we heal our spiritual insides, our outside starts to reflect that back to us. For me, I started to heal spiritually when I went through a deliverance, and then I started to heal physically afterwards. As I worked on continuing to heal myself physically, spiritually, and also mentally, my world started to change. I started to meet more and more people who were feeling like I was. I had been isolated, and cut off from myself… I had been fragmented before I went through the deliverance, but as I started to forgive others and myself and love myself, I found others who loved me too and I found healing. If we create our own reality, then we can make our reality heaven, if we work on ourselves. If we forgive ourself, we’ll be forgiven. If we love ourself with mercy and compassion, the world will love us with mercy and compassion. If we can get along with people who disagree with us then our world will be a much more care-free place. We can create heaven on earth by creating heaven inside of ourselves. As it is in heaven, so too shall it be on earth, As above, so below. As within, so without. According to the law of attraction the caged bird has created a life in which it is caged, but it can still feel free. Matthew 6:25 Therefore I tell you, do not be anxious about your life, what you will eat or what you will drink, nor about your body, what you will put on. Is not life more than food, and the body more than clothing? 26 Look at the birds of the air: they neither sow nor reap nor gather into barns, and yet your heavenly Father feeds them. Are you not of more value than they? Psalm 50:11 I know all the fowls of the mountains: and the wild beasts of the field are mine. Matthew 10:29 Are not two sparrows sold for an assarion? Yet not one of them will fall to the ground apart from the will of your Father. An animal at a factory farm has chosen this reality for themselves (it may be to teach people lessons or perhaps it was an animal abuser in a past life and chose this life). If you accidentally hit an animal with your car, the animal attracted the car, and you attracted the incident. If it hadn’t been you (because you were in a frequency that repelled such an incident), then another car might have hit it. We’re given these incidents to mirror back to us our internal state of being. Please see Gregg Braden’s Teachings page for more information on the Essene Mirrors. Anything that we consider “bad” in this world is changeable by us focusing on ourselves, working on ourselves, and focusing on “good” things instead. The more we focus on the things we dislike, the more the world will mirror back to us things we don’t like, in order for us to understand what we’re thinking about currently. You shouldn’t get upset that the world is mirroring back to you things you don’t like, but instead be thankful. You don’t get mad at a mirror for showing you that you have dirt on your nose, right? If you are focused on animals being mistreated (this may be tied to unforgiveness also), you’ll see more animals being mistreated. If you are focused on animals starting to be cared for, and people going vegan more and more, those are the stories you will see. If you are focused on liars, you’ll attract more liars. If you’re focused on cheaters or sexual abusers, you’ll see more of that. This is why it’s best to forgive and to move on to thinking about more positive thoughts. I know, because I’ve seen it in my life. We have to take each thought captive. We can control what we think about. We can also meditate to clear our minds of negative thought patterns. If we do not control what we think about, we’re letting our thoughts become our slave master, and we will be stuck in a “mind matrix prison” of our own making. But if we’re freely forgiving others, and focusing on being appreciative for all we have, our world will manifest that freedom and give us more things to appreciate. Even though we live in a world that, to some, feels like a prison, it’s all in your mind. You can sing like a caged bird does, because you know you’re truly free and happy. You can be happy in every single situation, because you know that you are the only one who can truly make you a prisoner. You can “leave” that “mind matrix prison” any time you like. Many choose to continue to be slaves to sin, slaves to negative thought patterns, etc. But you have a choice. No one else can control your thoughts but you. When you realize the only one in control of how much enjoyment you find in life is yourself, that is true freedom, and even if we are in a simulation of sort, you will be able to sing!